Update: 1:15 pm Mike Ross (D-AR) and 18 other Democrats voted present and thus did not vote for Nancy Pelosi. This acknowledges that the voice of the people is at least being acknowledged by these individuals. Today, Rep. Nancy Pelosi (D-CA) is prancing around the Capitol holding meetings with visitor acting like nothing new has happened. 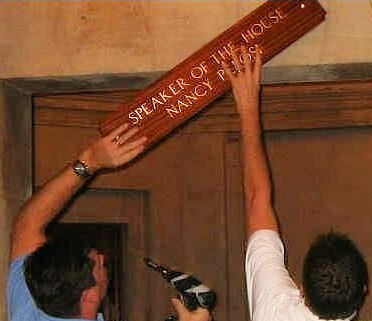 But thankfully for America, Pelosi is no longer Speaker of the House and in the line of succession for the presidency. Today, she is replaced by Speaker John Boehner (R-OH). Enjoy the photos! People over at Impeach Nancy Pelosi on FaceBook are celebrating. 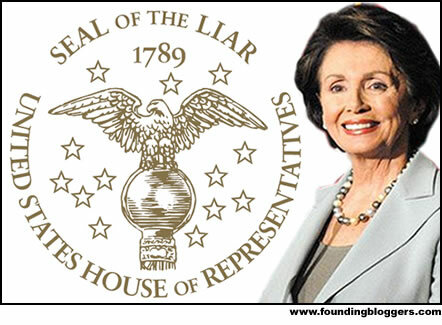 But they remain concerned that the "Speaker of Lies" is still in the US House and is the Democrat's Minority Leader. Unfortuantely, democrats like self-proclaimed Blue Dogs like Rep. Mike Ross (R-AR) yielded and agreed for her to be their leader. Ross is referenced because he was the only Democrats to survive the 2010 Elections for US offices from Arkansas. Ross claims to be the spokesman for "conservative democrats" - an oxymoron - in the House of Representatives. Most of Arkansas recognized the need for change and elected three Republicans to the House and a Republican to the US Senate. Tags: Speaker of the House, Nancy Pelosi, John Boehner, US House, Arkansas, Mike Ross To share or post to your site, click on "Post Link". Please mention / link to the ARRA News Service. Thanks!